I guess we're lucky when it comes to food, vegetables, fruits because most of them are just within reach, and easy to get. I mean, there's a vegetable, meat, fish, fruit seller a few steps away from our house and same with my daughter's school also. So I need not go to the market from time to time nor the grocery. But luckily, our house is also near the market (about 5 minutes away) and there are two groceries (5 minutes away also). 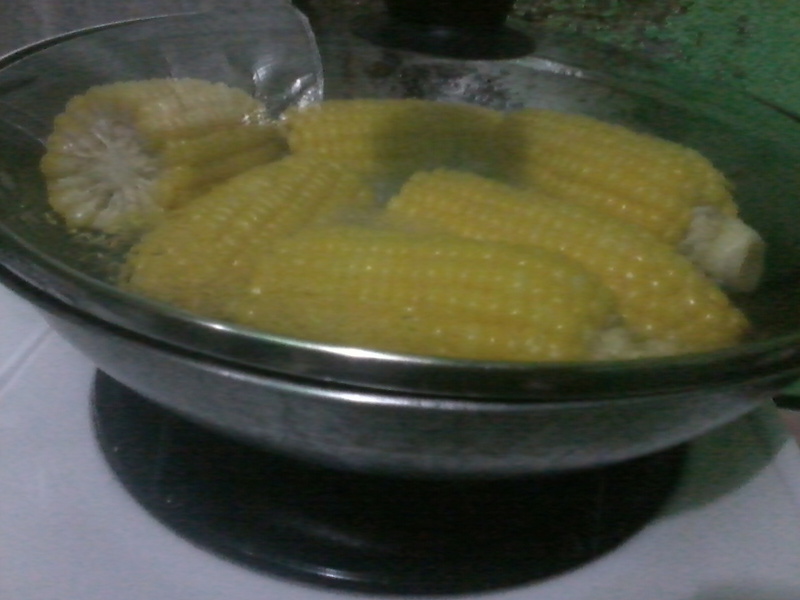 So whenever there's a corn craving, we just buy it fresh from the seller. Aside from being a yummy snack, I also save the corn-silk for future use. I boil it in about 2-3 cups of water and drink the tea. It's good for arthritis, gout, kidney stones and removes other toxins in the body.